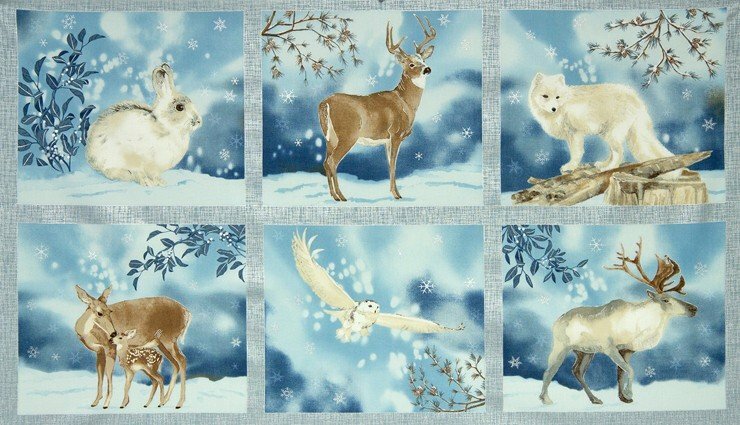 24" Panel" depicts different animals in the snowy outdoors. Rabbits, deer, foxes, owls, and elk. Colors include shades of blue, brown, grey, beige and ivory with metallic silver accentsThe panel design runs the full width of the fabric. 44" wide, 100% cotton. By Lynnea Washburn from Winter White for Robert Kaufman.